The first recipe is from Le Coin de Mel. These Healthy 'Free From' Chocolate Brownies will keep you coming back for more. They are also a great way of sneaking some sweet potatoes unknowingly into the family! They would be the perfect treat to have with an afternoon coffee. Next up are these Gluten Free Cherry Choc Raw Squares from Glutarama. They contain so many ingredients that have got me wanting to make them. Morello cherries, coconut and ground almonds, perfect! I imagine that the hard part is waiting for the squares to set before tucking in! Following on with the raw theme is this decadent Raw Vegan Chocolate Tart from Yumsome. The base is made using cashew nuts, cocoa, dates and coconut oil, wow, it sounds amazing and that is before I have even told you about the filling. The filling consists of yet more dark chocolate coconut milk, agave nectar and even sea salt. I want this tart so much, it is a must make! Last but certainly not least is this bejewelled topped Chocolate Tart from Easy Peasy Foodie. I adore the topping on this chocolate tart the addition of pistachios, cranberries and orange transform this chocolate tart into a tart fit for your Christmas dinner table! I am sure that you will agree that the four recipes that I have featured today are all irresistible! If you missed any of them I definitely recommend you pop over and take a look! 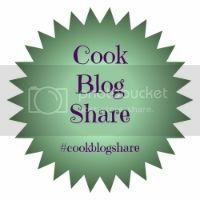 Now onto this weeks CookBlogShare linky. Share your foodie posts both old and new welcome, add the badge below so others can find us, comment on the HOST post, comment on some other posts that have linked up and enjoy. If you tweet me at @k_phillipson I will retweet them all and throughout the week I will be tweeting, pinning and stumbling! Next week the linky is being hosted by Eb at Easy Peasy Foodie who will be hosting for two weeks as she has very kindly offered to keep the linky going over the Christmas week. I would just like to take this opportunity to wish you all a delicious Christmas and I look forward to seeing what you have been cooking up! I'm not the hugest chocolate fan but all those recipes just look delicious! Tempted to make them all. Thank you for hosting and have a very Merry Christmas. 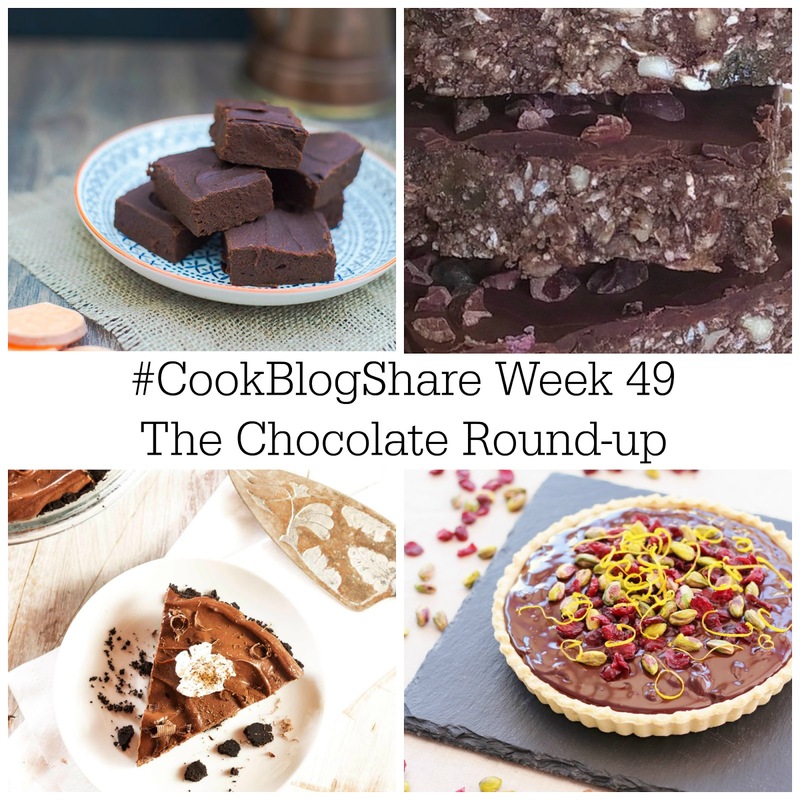 These chocolate recipes look amazing and I am looking forward to seeing the recipes that link up this week. Happy holidays! Hi Kirsty, Thanks for the party and happy holidays. This week I have shared an Indian styled pickle with green apples. Oh my gosh! Those chocolate things are making my mouth water! I love the look of your soup this week too. I can't get enough soup this time of year. Especially made with my homemade chicken stock to ward off the bugs ;)! Ooh yes, chocolate is such a great theme for a round up Kirsty! Yum!